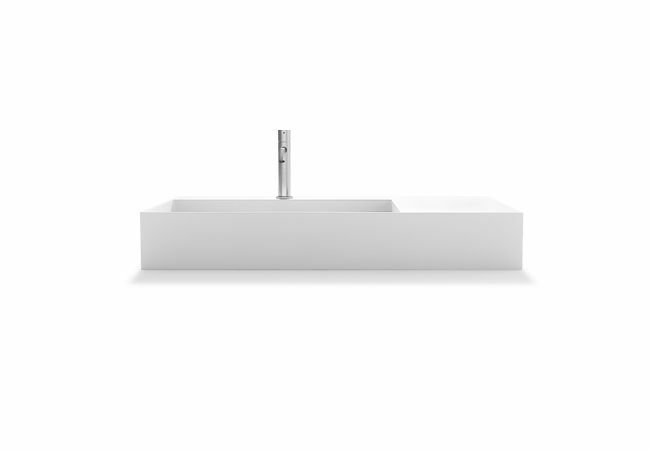 The jointless transitions of this silky matt vanity combine pure aesthetics with linear functionality. After the water runs smoothly through the basin it disappears in a subtle ledge. “NIAGARA” is installed onto the wall thus creating a puristic contrast to expressive wall designs. 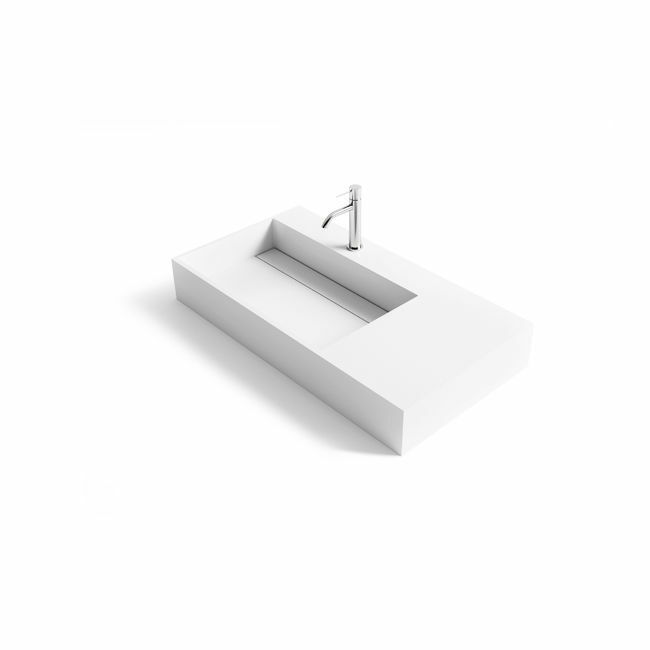 Wall-mounted washstand with matt-white surface, made out of VELVET STONE™. High-quality solid surface: Two thirds consisting of natural mineral material and pigments and one third of premium resins (as binding material).